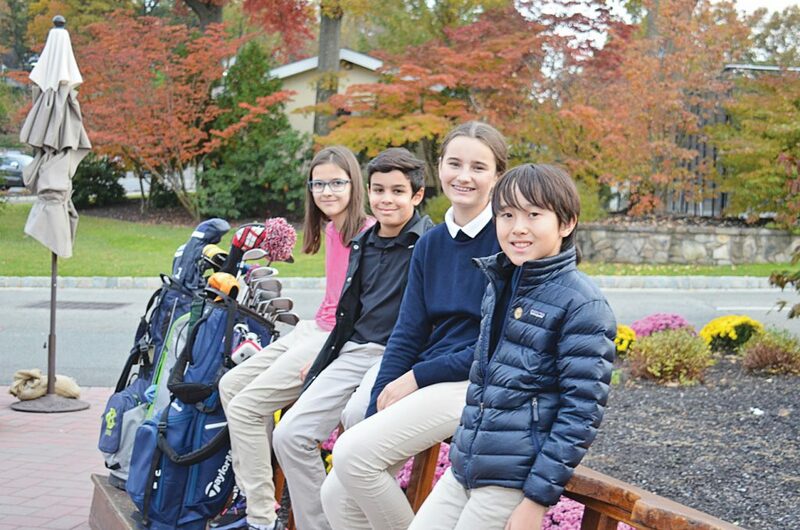 Kids in the Passport to Learning and Wellness program took part in a golf outing at a country club in Summit. Teagan Clark, right, says she plays golf with her grandparents. 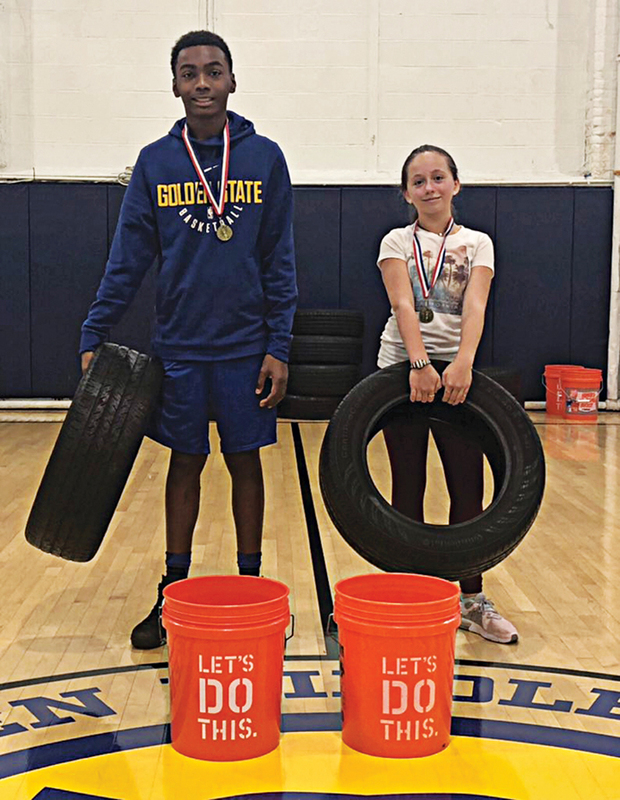 Hoboken Middle School’s Passport to Learning and Wellness program helps kids from kindergarten through eighth grade to learn through extracurricular activities. The Passport to Learning and Wellness program feeds into the current philosophy of preparing students, not just for learning but for life. Other options include chorus, orchestra, band, and junior thespians, which helps students hone their craft while gaining confidence through self-expression. Disciplines include acting, singing, and dancing. Students compete in theater festivals across the state, collaborating with other junior thespians. They attend workshops taught by professional actors and compete for awards. In June, students showcase their talents in front of a live audience. 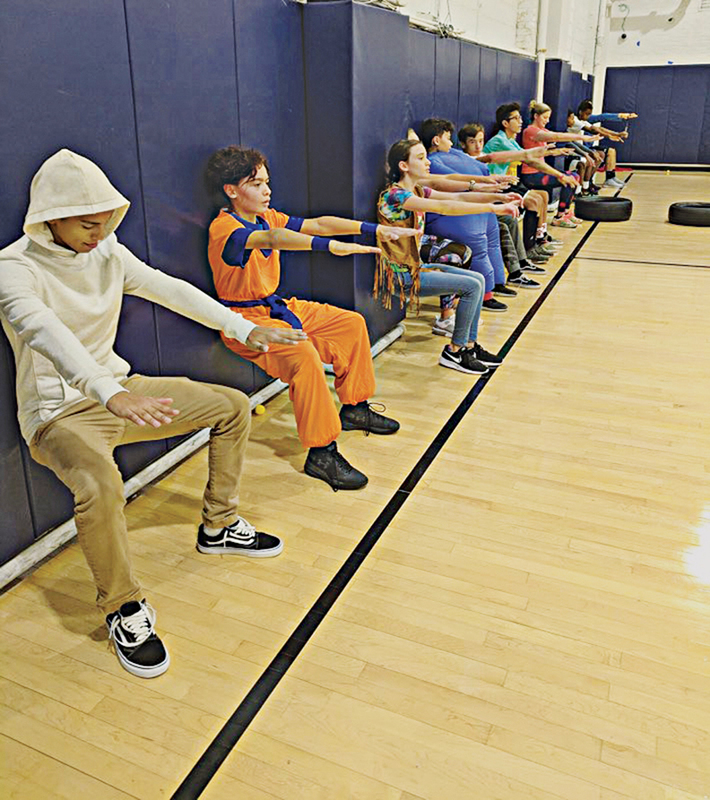 Students can also choose fencing, basketball, and yoga and mindfulness. A sports sampler offers a choice of archery, table tennis, or rock climbing. Tennis, running, and golf are also available. 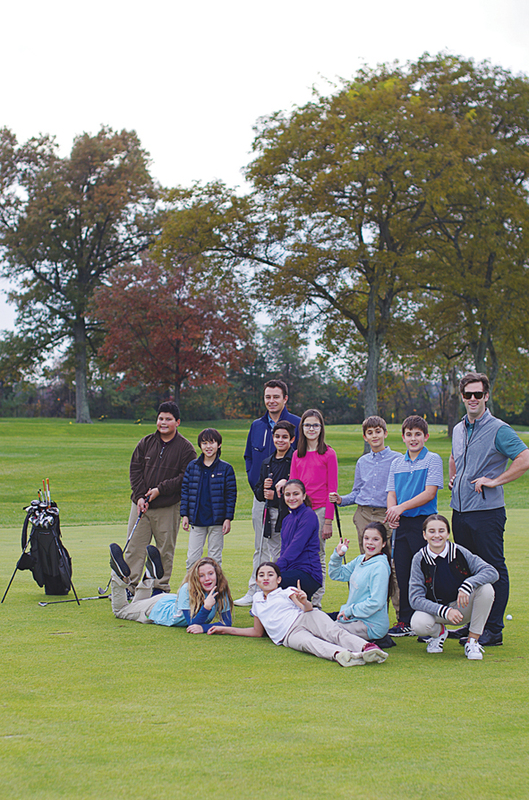 In mid-November we were lucky enough to catch a golf outing at the Canoe Brook Country Club in Summit. One participant was 11-year-old Teagan Clark. “I always liked playing golf,” she says. 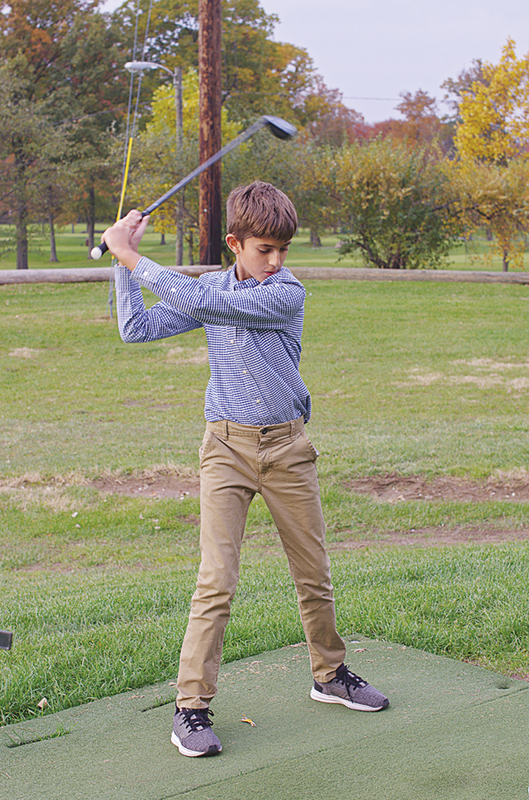 “I’d played with my grandparents.” It turns out that Teagan is kind of a renaissance kid when it comes to sports. 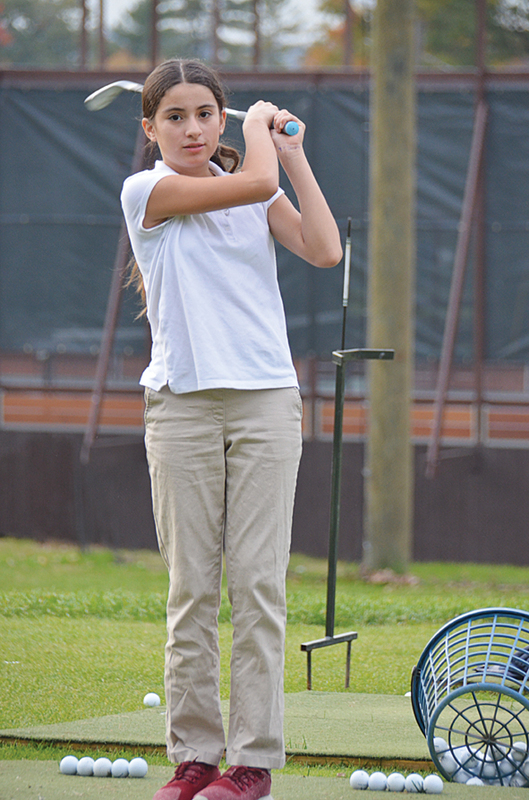 She plays basketball, softball, soccer, and tennis, and will be trying fencing. As with all sports, there’s more to it than just the game itself. “You meet new people and make new friends,” she says. She also refers to the “heart and enthusiasm” you need to succeed as an athlete. Her dream job? She has her sights set on being a baseball commentator. “My mom is a Mets fan, and so am I,” she says. “I don’t know what it is; it’s just one of my favorite sports. I love hitting the ball, and I love watching the professionals.” She also pitches and plays third base. You get the sense with Teagan that the Passport to Learning and Wellness really is a passport to her dream job. As it happens, Teagan’s dad, Chris, was instrumental in initiating the passport program. “For years, I’d had the idea of rounding out the athletic offerings at high school,” he says. Specifically he wanted to add sports like golf and tennis to the usual suspects. To excel at these sports, kids have to start much earlier. Oh, by the way, lest you think that Teagan is just a jock. She also plays the saxophone, likes to sing, and is great at math. But there’s more than sports to the passport to learning. He also took a class called Math Circles. “I learned how to count up to 10 times faster,” he says. “In the grocery store or anywhere else I can just use the trick.” The math program brought in students from Stevens. “The fact that other students explained how to do things in kid’s language made it easier,” Sava says. Speaking of math, another innovative program at Hoboken Middle School is Cardio Math Club, introduced by Principal Harold Abraham in October. Kids kick the day off with a series of fitness activities that build camaraderie and teamwork, and create an optimal condition for learning. More than 25 percent of the student body participates. The idea is that movement and physical activity can improve productive class participation, the ability to apply knowledge and concepts, and positive interactions among students. During one Cardio Club session, students ran from Hoboken Middle School to Pier C. Students calculated pace and clocked sprint times. On Pier C, Abraham led students through calisthenics, tire pushing/pulling repetitions, cardiovascular endurance exercises, and dynamic stretching and jump training. Parents and staff members also participate. “Students really take pride in their efforts and the fact that Principal Abraham is committed to their growth and achievements,” said humanities teacher Rachel Loughlin. 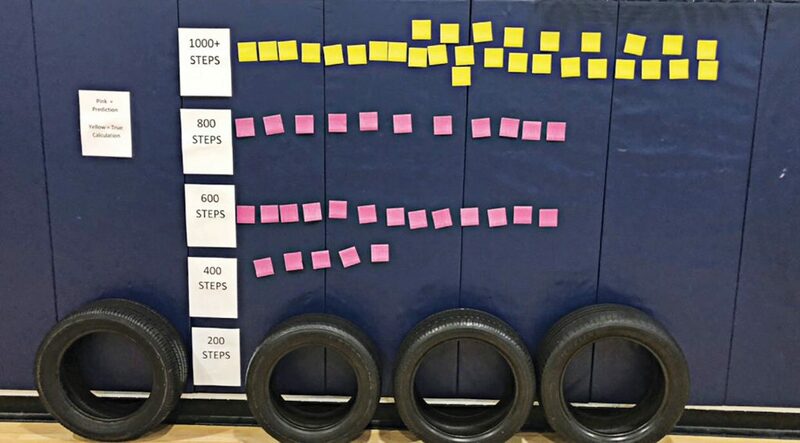 Students use math skills to evaluate and adjust their personal fitness goals on a fitness app. Early-morning runs are mapped using GPS technology. Students also chart every step that they take, monitor their heart rate, and calculate their VO2 max, all while reinforcing math vocabulary and concepts. “A lot of our students are interested in math, and I wanted to make math fun,” Abraham says. Abraham, who is in his first year at Hoboken after an eight-year stint in Piscataway, is getting a doctorate from Northeastern, focusing on the relationship between increased movement and student achievement. Even if you’re a math phobe—and you get the feeling Abraham doesn’t believe in such a thing—his enthusiasm is infectious.